The borderline personality disorder of interior design. That’s the way I would describe the interior design style, transitional. It’s not too contemporary, nor is it too traditional. So, what is Transitional design style? Well, it is a perfect combination of the two. It is the best of both worlds. 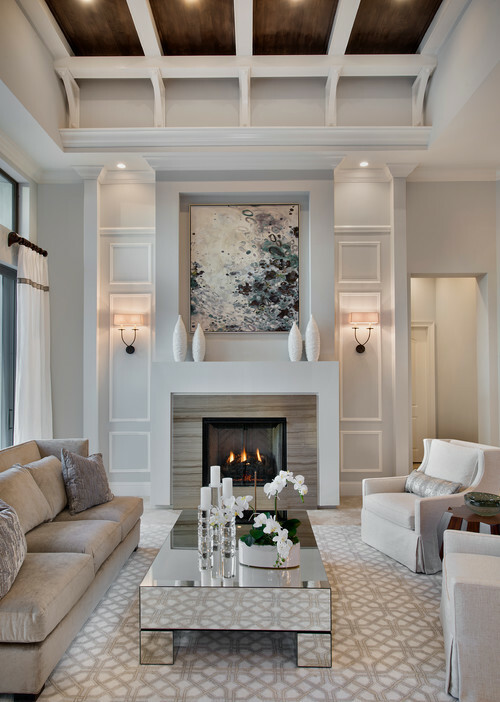 Transitional Living Room by Naples Architects & Building Designers Weber Design Group, Inc. The decor for the Transitional design style marries the comfort of traditional with the clean lines of contemporary. While furnishing may be plush and comfy, the fabrics will be neutral without any flair or flash. Rarely will you see curved lines, and ornate finishes are not common place with this style. Neutral shades abound in the Transitional style. 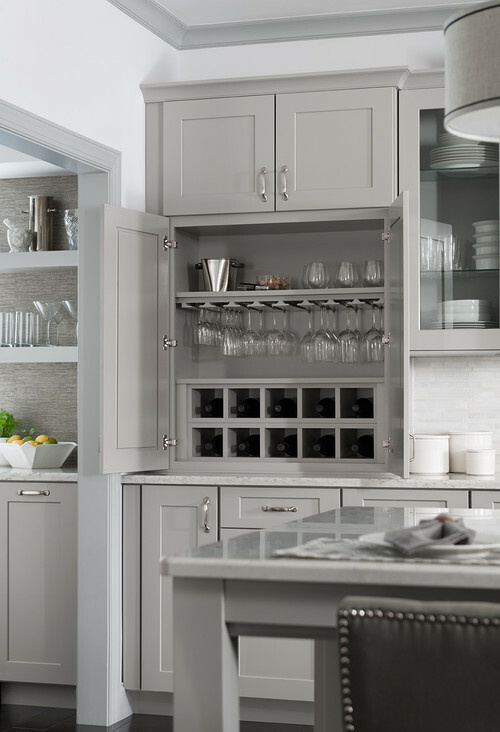 If you love this style, then you are perfectly happy to forego bold, in your face, paint colors for a more serene color scheme of monochromatic shades. Tone-on-tone soft whites, beiges or grays are the way to go, with perhaps a splash or two of accenting. Kitchens will be both clean and sleek, much in the style of contemporary, except they will have all the warmth of a traditional. Raised panels are out; however, in the right design some ornamentation is acceptable. 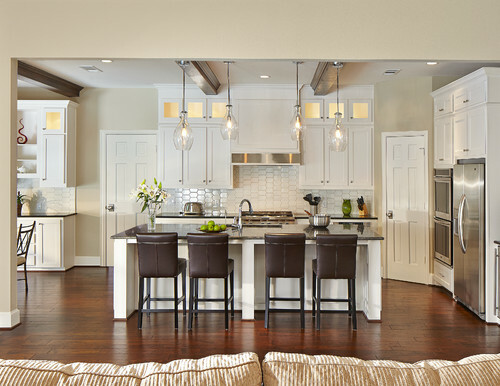 Shaker style cabinets and Mission style mill work is common place in a Transitional design, because they offer such classically clean lines. These are generally offset by a more traditional countertop and/or sink fixtures. Lighting can go either very traditional or very contemporary, depending on the rest of the room’s elements. 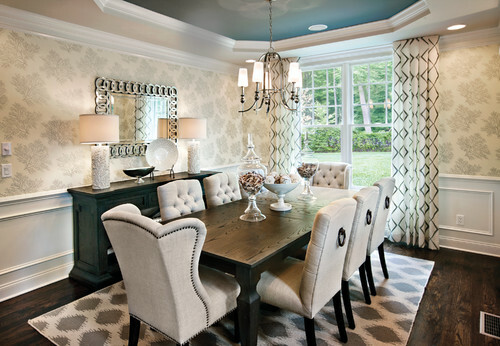 It’s very common to see a crystal chandelier hanging over a plain and even contemporary dining table. The opposite is also true, a contemporary light fixture looks at home hanging over plush seating. If you prefer less frills but still like the occasional bling, or if you feel the most comfortable in a home that is bright and comfortable, yet still has the sleek look of a contemporary, you may love the Transitional design. 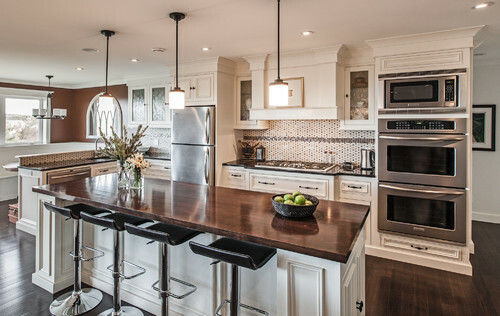 Are you Transitional, or does your taste fall more in line with Modern or Traditional? Could it fall midway between Transitional and Modern ? It could if you want to lean a little more toward the Contemporary style. Absolutely!